Eyelash Extensions enhances the length, thickness and fullness without damaging the natural eyelashes. The extensions may consist of silk, mink, or synthetic hair. When applied properly, eyelash extensions will last as long as the natural growth cycle of your eyelashes. Everyone’s experience will be different based on day to day activities. Touch-Ups are usually needed every 2 – 4 weeks. by our highly trained Certified Lash Extensionist ! NovaLash is Voted #1 More than any other Lash Company in the World ! Mascara is typically not needed with lash extensions. Mascara should only be used when a touch-up is drawing near. Water-soluble mascara can be worn; however constant use of mascara may shorten the lifespan of lashes.Waterproof mascara is not recommended for use, as it will dissolve the bond with the lashes. 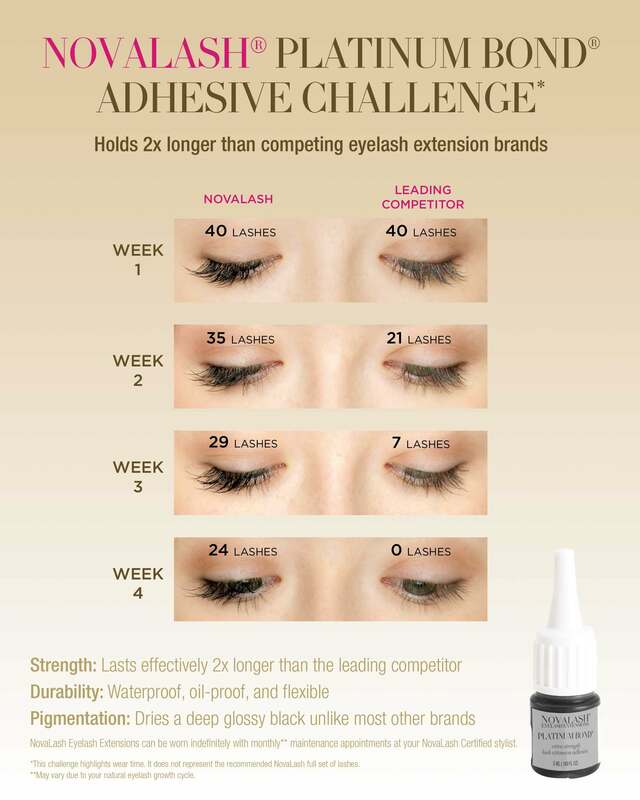 NovaLash glycol and carbonate free mascara is specifically formulated for use on extensions without interfering with the adhesive. ONE APPLIED, WHAT IS THE PROPER WAY TO CARE FOR LASHES? 1) Remove all eye makeup and clean your lashes with a mild, oil-free cleanser. 2) Do NOT use oil-based make up removers. 3) Do NOT put on mascara. 4) Do NOT curl your lashes. 5) Contact lenses should be removed during the procedure.